Q: I've finished my editing the used LRTExport Plugin in Lightroom to export my sequence. Unfortunately LRTimelapse does not automatically take over the render task anymore in order to render the video. I have to do it manually via File->Render Video. This used to work. A: If LRTimelapse does not automatically come up and show the render dialog, after Lightroom finished exporting the intermediary sequence via LRTExport, here is what to do: go to your Documents folder, there should be a "LRTimelapse" folder inside. Delete it. 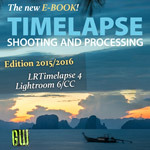 Next time the hand over from Lightroom to LRTimelapse should work again. This post was last modified: 2017-07-30, 17:31 by GeMaSch. After updating this software recently, exactly this error occurs. Deleting the "LRTimelapse"-folder brings no solution of the problem. "Bitte stellen sie sicher, dass sie eine Zwischensequenz auswählen, die mit dem LRT Export Plugin aus Lightroom heraus erstellt wurde...." This is exactly what happened. And also the the names of folder and files are as required!!! But LRTimelapse refuses to render. There is also no way in choosing the sequence manual. This leads to the same error report! P.S. : Ich fahre morgen nach Dänemark und hatte dort einiges vor. Schade, das daraus wohl nichts wird. You can always render manually by selecting "File/Render Video" from the menu in LRTimelapse. 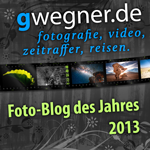 There choose the Intermediary sequence exported before via Lightroom. It should be called "LRT_NameOfSequence". Don't worry, we'll get this fixed. I have same problem on my PC windows 7. I tried deleting the "LRTimelapse" folder inside the my doc folder. that does nothing. the "LRTimelapse" folder was not a folder just a file. I have tried to render manually. 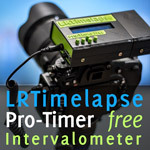 but when I go to the LRTimelapse folder it says it does not exist. LRTimelapse will then normally automatically detect that file and start the render process. If this does not work for some reason (for example LRTExport does not get write permission to that folder) then you can manually open the LRTimelapse Render Dialog (File/Render Video) and choose the intermediary sequence (!) LRT_[YOURSEQUENCENAME] that was created in the output folder that you defined in the LRTExport plugin. Your images are orphaned in Lightroom. See all those Exclamation Marks in the Lightroom library. Lightroom cannot access those images, that's why they don't get exported. Hi I am having the same issue after exporting from LR it doesn't go to Timelapse Render page l then click back to LR Timelapse and its rendering ,I have the free version of LRT 5 did deleted folder but still doesn't work , had no issues with verision 4 is there any reason why this is happening!